Employment - Find a Maryland Nanny Job Today! ABC Nanny Source - Recruiting only the most High-Caliber Maryland Nannies! ABC Nanny Source represents only the most dependable, qualified nannies in Maryland! We strive to match families with their ideal childcare provider by offering only the most professional candidates for them to consider. If you are interested in becoming a career nanny in Maryland, apply today! Each candidate that applies to ABC Nanny Source is expected to complete a very extensive 10 Step Screening Process. We require all of our nannies to have a valid driver’s license, reliable vehicle, 3 years of previous childcare experience, clean Nationwide/Countywide Background Check, and several verifiable references. This stringent screening process allows us to offer our families only the most elite nannies, in turn offering our Nannies the most elite positions. 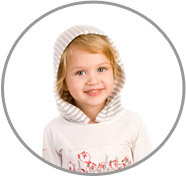 We are proud to represent the highest caliber nannies and are very interested in speaking with you. Please fill out our online application right away! One of our Scheduling Coordinators will contact your within 24 hours to explain all of the details! Apply today! Position Description: Wake children and get oldest ready to meet school bus. Ensure all have their daily breakfast. Meet bus or pickup children after school, assist with homework if necessary, prepare and provide dinner and evening care, interact with children throughout the day and ensure they are clean. As time permits, do grocery shopping, laundry, and light cleaning around the house. "We are seeking a Nanny who is reliable, honest, organized, efficient, independent thinker and problem solver, able to multitask, able to be a strict but fair disciplinarian when appropriate but able to show kindness. Able to bond with children, caring, funny - Mary Poppins!" Note: Bi-Lingual Nanny is a plus! Children's Activities: Not applicable yet; as the baby grows, mom and dad will want him to participate in various activities. Position Description: Child care for an infant - feeding, bathing, changing diapers, appropiate education/interaction for development and growth. Laundry for the child and light housekeeping related to the child. "We are looking for a nanny who is a loving and caring individual who enjoys infants; warm, friendly, dedicated, honest, energetic, respectful, and engaging with children!" Position Description: Get the children dressed, prepare them breakfast, and get them to school. Pick up from school to go park, go to Physical Therapy, or dance class. Feed the children lunch, put down for naps, do arts and crafts with them, read books, etc. Also responsible for laundry, putting dishes in dishwasher, and general clean up of the children's rooms. "We would like our nanny to be strong, energetic, like to read and sing songs, do art projects, and go outside." Position Description: Help prepare breakfast and lunches for the children, and help with getting them ready for school. Drive the children to school. When the children are at school: laundry, errands, and grocery shopping. Pick up children from school starting at 3pm. Sometimes carpooling with other families is required. After school activities such as swimming and soccer will require more driving, and sometimes driving other children as well. "Our family is in need of a nanny who is reliable, consistent with the children, a good communicator, and organized." Note: One of the girls takes Omeprazole for reflux twice a day, though mom and dad typically dispense it ourselves. Children's Activities: The twins enjoy playing together, building with blocks, reading books and being read to. They especially love being outside, taking walks, playing at the park, and being pushed on the swings! There is a public park just a few blocks from our home, and the children walk there with mom and dad all of the time. Finding new places to explore is a priority, too. Mom and dad are hoping to find someone who can take the children to new, age-appropriate places where they can interact with other children and interesting environments. Position Description: Monday and Thursday: Wake the girls (if still asleep) and brush their teeth in the morning. Dress the children (may require picking out outfits). Administer medicines as needed  Prepare and feed breakfast to children by 9:30am. Clean up and prepare for the rest of the day (may brush teeth here too). Have some constructive activity for the morning (playdates, reading, going outside, etc.). Monitor children for use of the potty (children are almost fully potty trained). Tuesday and Wednesday: Prepare and provide lunch for children at 12:30pm. Naptime is at 1:30pm. Wake girls up from nap at 3:30pm. Provide healthy snack. Engage in constructive activity for the afternoon (museum, zoo, etc.). Have fun while waiting for Mom and Dad to come home! "Were searching for an energetic nanny who engages life and the children. He or she should challenge them to learn and grow, and support their individual talents. Education is especially important to us, and we desire a nanny who shares our passion for teaching as well as learning. We want a nanny who doesnt say no capriciously, but can provide structure and support when needed. We want someone who will work with our requests for our children and who will bring ideas and activities to our family as well. Our nanny shouldnt be rigid or believe there is only one way to achieve a goal. Rather, our nanny should be open to change, flexible and creative with new ideas and energy to share."